Bangladeshi Best Mobile Price & Compare Site. Full Database of mobile phone specifications : Compare iOS,Android,Windows,Blackberry smart phones and feature phones. 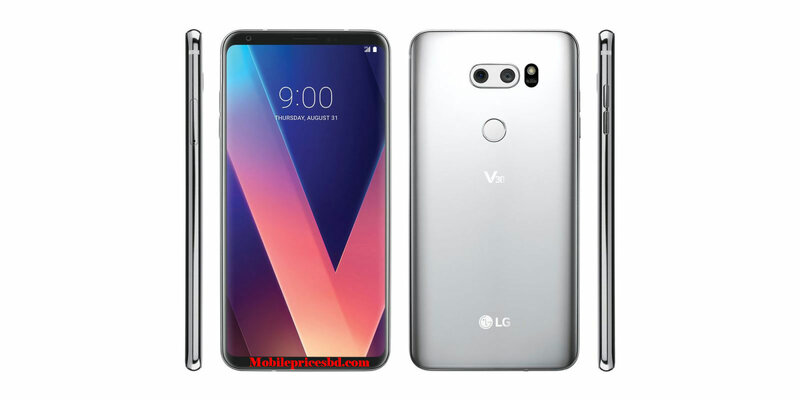 LG V 30 Price In Bangladesh. LG V 30 is aiming at smartphone enthusiasts and content creators. The device is packed with powerful hardware, including a fast Snapdragon 835 SoC and plenty of memory, while a 6-inch OLED screen occupies nearly all of the phone front for a modern and sophisticated look. The back is adorned by a 16 MP main camera and a 13 MP wide-angle shooter, both of which can be controlled manually when shooting photos or video. All of this is fitted in a glass-and-metal body with water resistance and wireless charging on board.All information is collected on their website. To know all kind of mobile latest PRICES, upcoming models, details specification you may visit our Facebook Page. 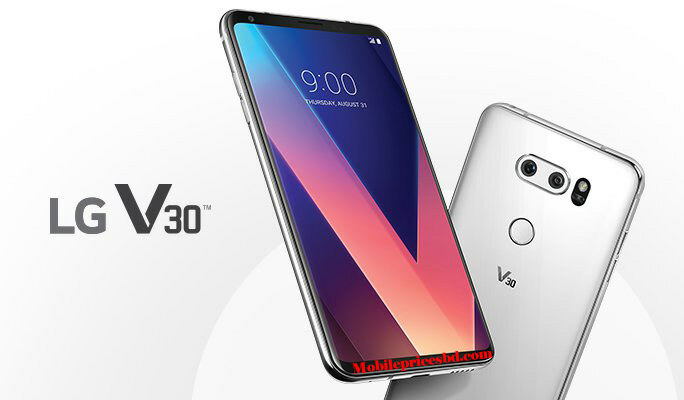 LG V30smart phone was launched in 03 September 2017. The phone comes with a 6.0-inch 18:9Full-View,P-OLED capacitive Touchscreen display with a resolution of 1440 pixels by 2880 pixels at a PPI of 537 pixels per inch. It measures 151.7 x 75.4 x 7.3mm (height xwidth x thickness) and weigh 158.00 grams. 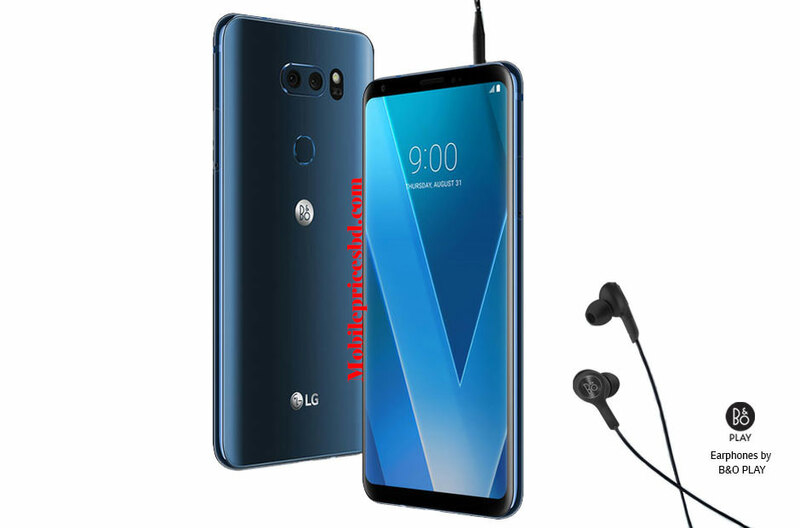 LG V30is a Single SIM (Nano-SIM) or Hybrid Dual SIM (Nano-SIM, dual stand-by) (GSM) . Connectivity options include Wi-Fi, GPS, Bluetooth, 3G and 4G. Sensors on the phone include Sensors, Iris scanner, fingerprint (rear-mounted), accelerometer, gyro, proximity, compass, barometer, color spectrum. As far as the cameras are concerned, LG V30 packs a 16+13-megapixel primary camera with LED flash on the rear and a 05-megapixel front shooter for selfies. LG V30 is powered by Octa-Core 4X2.45GHz ARM Cortex-A53 .Cores Quantity 8. LG V30 comes with 4GB of RAM. The phone packs 64/128GB of internal storage that can be expanded up to 256GB via a microSD card. LG V30 is powered by a 3300 mAh Li-Polymer (Lithium Polymer) non removable battery . 05 Megapixels with (f/2.2, 1/5″, 1.12 µm), autofocus,auto face detection, face beauty, HD video rec. This LG V30is a flagship Smart Phone from Giant LG Corporation.Now LG V30 is available in Bangladesh mobile market from 03 September 2017. Mobile markets are not constant. So price is ups & downs at any times. Area & market place also very Mobile prices. Disclaimer .we cannot guarantee that the information on this page is 100% correct.